No one expected that Vijay Devarakonda’s Geetha Govindam will create such an impact at the box office. Even after 10 days of its release, the film is going great guns at the box office. The trade circles reveal that Friday releases like Atagallu, Neevevaro, and Lakshmi have absolutely no effect on Geetha Govindam as they have released to some mixed reviews all over. As the weekend has set in, the occupancy for Geetha Govindam in both the multiplexes and single screens of Telugu states is quite good. 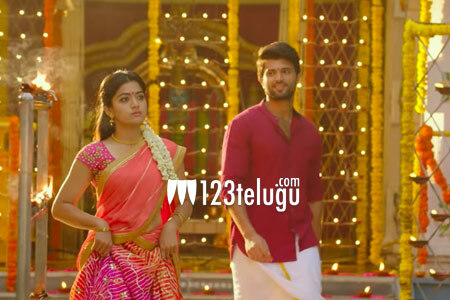 The film will cross the 45 crore mark today making Geetha Govindam one of the biggest hits in the recent times.